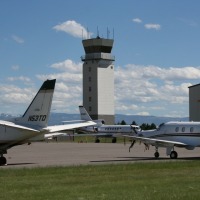 Bozeman Yellowstone International Airport provides general aviation services to our regional pilots. We have two full-service Fixed Base Operators, flight schools, private charters as well as helicopter services and a unique pilot shelter. Our competitive pricing and high quality ensure BZN is your home base for all aviation needs. We host two fixed-based operators here at BZN. Both provide top-notch aeronautical services such as fueling, aircraft rental, maintenance, flight instruction and much more. If it has always been your dream to learn to fly an airplane, look no further. We have a great selection of experienced flight instructors who specialize in every type of flying imaginable. Our airport is home to a variety of local charters who specialize in pristine customer service and luxury, from a private one-way flight into the Gallatin Valley or a secluded tour over the Bridgers. BZN is home to two longstanding and reputable helicopter companies. Please contact Central Copters or Rocky Mountain Rotors for more information. Emergency air transportation when you need it, wherever you are, straight from your local Bozeman, Montana airport. Bozeman Airport is proud to host a truly unique pilot shelter. With help from the Montana Pilots Association, our shelter was constructed with 100% donated funds and labor. In conjunction with the Yellowstone Club and Signature Flight Support, Bozeman Airport remodeled a portion of the Old Terminal Building to provide a Federal Inspection Service Facility. Both FedEx and UPS fly in and out of BZN on a regular schedule providing parcel and mail services to the Gallatin Valley region. Don't see what you're looking for above? 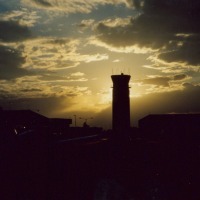 BZN is home to a number of other businesses that serve the General Aviation community in various ways.